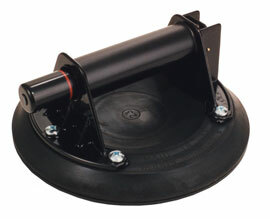 8" economy flat vacuum cup with ABS handle and base. Red safety indicater automatically indicates low vacuum. Comes with a handy carrying case.